The tropical north of Australia covers almost half of the country’s total land area, is occupied by no more than about 5% of the total population, and yet has been estimated to account for close to 70% of the country’s potential freshwater resources. The region experiences strong climatic variability, both spatially and seasonally, with large areas subject to long dry periods interspersed by short periods of torrential rain. This book presents an overview of the freshwater resources of a region that has undergone a period of intense development (agricultural, industrial and social) over recent decades and for which is predicted a continuing period of development into the future. The author describes how the availability of surface, groundwater and stored freshwater, in terms of both quantity and quality, will continue to be the major factor influencing such development. It will also highlight how the emphasis on ensuring year-round water supply has, in recent decades, shifted to one of management to ensure sustainability of this vital resource and maintenance of the ecological health of what is known to be a fragile ecosystem. ACARP (2005). Impacts of Coal Mining on Aquatic Ecosystems in Central Queensland. Report prepared by WBM Oceanics Australia for Australian Coal Association Research Program, Project no. C11055. Ahern, C. R., Shaw, R. J. & Eldershaw, V. J. (1988). Predicted deep drainage loss for Burdekin soils. Part A and Part B. Queensland Department of Primary Industries. Bulletins QB 88004 and QB 88005. Ahern, C.R., Weinand, M. M. G. & Eldershaw, V. J. (1989). Salinity of Burdekin soil classes II – Duplex and miscellaneous soils. Queensland Department of Primary Industries. Bulletin QB 89003. Alongi, D. M. & McKinnon, A. D. (2005). The cycling and fate of terrestrially-derived sediments and nutrients in the coastal zone of the Great Barrier Reef Shelf. Marine Pollution Bulletin 51:239-252. Anderson, J. R. (1993). An ecological and physical assessment of the condition of streams in the Maroochy catchment. State of the Rivers, Department of Natural Resources, Queensland Government. Andutta, F. P., Wang, X. H. & Williams, D. (2014). Hydrodynamics and sediment transport in a macro-tidal estuary: Darwin harbour, Australia. In: Wolanski, E. (Ed.) Estuaries of Australia in 2050 and beyond, Estuaries of the World. Springer Science+Business Media Dordrecht. ANZECC/ARMCANZ (2000). Australian and New Zealand Guidelines for Fresh and Marine Water Quality. Australian and New Zealand Environment and Conservation Council and Agriculture and Resource Management Council of Australia and New Zealand, Canberra. Arthington, A. H., Balcombe, S. R., Wilson, G. A., Thoms, M. C. & Marshall, J. (2005). Spatial and temporal variation in fish assemblage structure in isolated waterholes during the 2001 dry season of an arid-zone river, Cooper Creek. Aust. J. Mar. & Freshw. Res. 56:25-35. Arthington, A. H., Burtin, H. B., Williams, R. W. & Outridge, P. M. (1986). Ecology of humic and non-humic dune lakes, Fraser Island, with emphasis on the effects of sand infilling in Lake Wabby. Aust. J. Mar. Freshw. Res. 37:743-764. doi:10.1071/ MF9860743. Arthington, A. H., Page, T. J., Rose, C. W. & Raghu, S. (2011) (Eds). A Place of Sandhills: Ecology, Hydrogeomorphology and Management of Queensland’s Dune Islands. Proc. Roy Soc. Qld. Vol.117. Austin, L. S. (1980). Hymic acids from Lake Moondarra, Queensland and their complexing capacity for lead, copper, and zinc. M.Sc. Thesis, University of Southampton, UK. Australian Bureau of Meteorology (2012-2015). National Water Account Summary. http://www.bom.gov.au/climate. Bainbridge, Z. T., Wolanski, E., Alvarez-Romero, J. G., Lewis, S. E. & Brodie, J. E.. (2012). Fine sediment and nutrient dynamics related to particle size and floc formation in a Burdekin River flood plume, Australia. Mar. Pollut. Bull. 65:236-248. Balcombe, S. R., Bunn, S. E., Arthington, A. H., Fawcett, J. H., Mckenzie-Smith, F. J. & Wright, A. (2007). Fish larvae, growth and biomass relationships in an Australian arid zone river: links between floodplains and waterholes. Freshwater Biology 52:2385-2398. Balcombe, S. R., Bunn, S. E., McKenzie-Smith, F. J. & Davies, P. E. (2005). Variability of fish diets between dry and flood periods in an arid-zone floodplain river. J. Fish. Biol. 67:1552-1567. Barlow, C. G., Hogan, A. E. & Rogers, L. J. (1987). Implication of translocated fish in the apparent extinction in the wild of the Lake Eacham Rainbowfish, Melanotaenia eachamensis. Aust. J. Mar. & Freshw. Res. 37:897-902. Bayley, P. B. (1995). Understanding large river-floodplain ecosystems. Bioscience 45:153-158. Beckwith & Associates. (1999). La Grange Groundwater Allocation: A Kimberley Sub-Regional Allocation Plan. Report prepared for the Water and Rivers Commission. Bell, P. R., Greenfield, P. F. and others. (1984). Research Report No. 4, Oil Shale Development Research Group, Department of Chemical Engineering, University of Queensland. Benson, L. J. & Pearson, R. G. (1993). Litter inputs to a tropical Australian upland rainforest stream. Aust. J. Ecol. 18:377-383. Bernays, S L., Schmidt, D. J., Hurwood, D. A. & Hughes, J. A. (2014). Phylogeography of two freshwater prawn species from northern Queensland. Mar. & Freshwat. Res. http://dx.doi.org/10.1071/MF14124. Bishop, K. A., Allen, S. A., Pollard, D. A. & Cook, M. G. (1990). Ecological studies on the freshwater fishes of the Alligator Rivers Region, Northern Territory. Volume II. Synecology. Research Report 4.(ii). Supervising Scientist for the Alligator Rivers Region, Canberra. Bishop, K. A., Allen, S.A., Pollard, D. A. & Cook, M. G. (2001). Ecological studies on the freshwater fishes of the Alligator Rivers Region, Northern Territory: Autecology. Supervising Scientist Report 145. Supervising Scientist, Darwin. Blair, D. & Finlayson, C. M. (1981). Observations on the habitat and biology of a lymnaeid snail, Austropeplea vinosa (Gastropoda: Pulmonata), an intermediate host for avian schistosomes in tropical Australia. Aust. J. Mar. Freshwat. Res. 32:757-767. Blair, D. & Ottesen, P. (1979). Nasal schistosomiasis in Australian anatids. J. Parasitol. 65:982-984. Blair, D. (1980). Swimmer’s itch in northern Queensland. In: Programme and Abstracts, 24th Conference of the Australian Society for Parasitology, Australian Society for Parasitology. Blanch, S. (2008). Steps to a sustainable northern Australia. Ecological Management & Restoration 9:110-115. Blanchette, M. L. & Pearson, R. G. (2013). Dynamics of habitats and macroinvertebrate assemblages in rivers of the Australian dry tropics. Freshwater Biology 58:742-757. Boart Longyear (2014). A dual approach to water well drilling. Australian Mining 106(4):38. Bohl, H. P., Mitchell, D. C., Penny, R. S. & Roth, C. H. (2000). Nitrogen losses via subsurface flow from sugar cane on floodplain soils in the Australian wet tropics. Proceedings of the Australian Society of Sugar Cane Technologists 22:302-307. Boland, K. T. & Griffiths, D. J. (1996). Water column stability as a major determinant of shifts in phytoplankton composition – evidence from two tropical lakes in northern Australia. In: Schiemer, F. & Boland, K. T (eds). Perspectives in Tropical Limnology. pp. 89-99, SPB Academic Publishing, Amsterdam, The Netherlands. Boland, K. T. & Lawton, M. D. (1996). Seasonal water quality variations in the Rum Jungle voids. In: L. C. Bell & R. W. McLean (Eds.). Proceedings Post-mining Landform Stability and Design Workshop. Australian Centre for Minesite Rehabilitation Research. Boland, K. T. (1993). A comparison of two lakes in north western Queensland. Ph.D. Thesis, James Cook University of North Queensland. Boland, K. T. (2008). Water quality profile and bathymetric survey of Whites and the Intermediate open cuts, Rum Jungle. 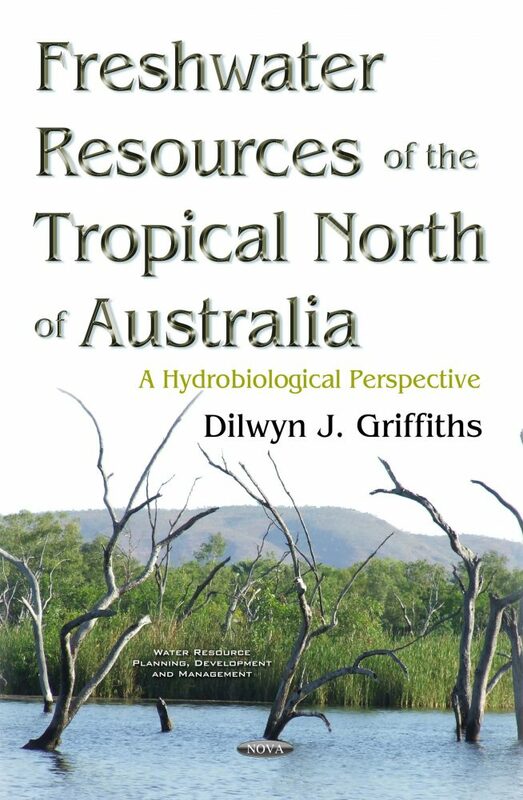 Report by Tropical Water Solutions, Darwin, N.T. Bollhöfer, A. & Medley, P. (2013). Monitoring of radionuclides in groundwater at Ranger. In: eriss Research Summary 2011-2012. van Dam, R. A., Webb, A. & Parker, S. M. (eds). Supervising Scientist Report 204, Supervising Scientist, Darwin, NT. Bormans, M., Ford, P. W., Fabbro, L. & Hancock, G. (2004). Onset and persistence of cyanobacterial blooms in a large impounded tropical river, Australia. Mar. & Freshwat. Res. 55:1-15. Borrell, A., Garside, A. & Fukai, S. (1997). Improving efficiency of water use for irrigated rice in a semi-arid tropical environment. Field Crops Research 52:231-248. Bourke, A. T. C., Hawes, R. B., Neilson, A., & Stallman, N. D. (1983). An outbreak of hepato-enteritis (the Palm Island mystery disease) possibly caused by algal intoxication. Toxicon 3:45-48. Bradburn, A. & Kauter, G. (2013). Innovative technologies in the cotton industry. Agriculture Science 25:38-42. Bradfield, J. J. C. (1938). Queensland. The conservation and utilisation of her water resources. A submission to the Queensland Government, March, 1938. Brady, B. A., Thomas, F. G. & Yellowlees, D. (1991). Water quality between the Barron River/Trinity Inlet and Green Island and the effects of seasonal change. Report, Great Barrier Reef Marine Park Authority, Townsville, Australia. Brady, H. E. (1979). Diatom flora of Australia. Report 1. Freshwater diatoms of the Northern Territory, especially in the Magela Creek System, School of Biological Sciences, Macquarie University, Sydney. Bramley, R & Roth, C. (2002). Land-use effects on water quality in an intensively managed catchment in the Australian humid tropics. Mar. Freshw. Res. 53:931-940. Bridgeman, H. A. & Timms, B. V. (2012). Australia, climate and lakes. In: Encyclopaedia of Lakes and Reservoirs. Springer. Brodie, J. E. & Mitchell, A. W. (2005). Nutrients in Australian tropical rivers: changes with agricultural development and implications for receiving environments. Mar. & Freshwater. Res. 56:279-302. Brodie, J. E. (1994). Management of sewage discharges in the Great Barrier Reef Marine Park. In. Bellwood, O., Choat, H & Saxena, N. (Eds.) Proceedings of the Sixth Pacific Congress on Marine Science & Technology, James Cook University, Townsville. Brodie, J. E., McKergow, L. A., Prosser, I. P., Furnas, M., Hughes, A. O. & Hunter, H. (2003). Sources of sediment and nutrient exported to the Great Barrier Reef World Heritage Area. Australian Centre for Tropical Freshwater Research. Report No.03/11, James Cook University, Townsville. Brodie, J., Fabricius, K., Death, G. & Okaji, K. (2005). Are increased nutrient inputs responsible for more outbreaks of crown-of-thorns starfish? An appraisal of the evidence. Marine Pollution Bulletin 51:266-278. Brodie, Jon., Lewis, S., Bainbridge, Z., Mitchell, A., Waterhouse, J. & Kroon, F. (2009). Target setting for pollution discharge management of rivers in the Great Barrier Reef catchment area. Mar. & Freshwat. Res. 60:1141-1149. Brook, B. W. & Whithead, P. J. (2005). Plausible bounds for maximum rate of increase of magpie geese (Anseranas semipalmata): Implications for harvest. Wildlife Research 32:465-471. Brown, G. (1987). Mine rehabilitation on Groote Eylandt, Northern Territory. In: Farrell, T. (Ed.). Mining Rehabilitation ’87. Australian Mining Industrial Council, Canberra, ACT. Bruce, C., Kroon, F., Sydes, D. & Ford, A. (2008). Cyclone damage sustained by riparian revegetation sites in the Tully-Murray floodplain, Queensland, Australia. Austral Ecology. 33:516-524. Bubb, A. (2006). Pastoral Industry Survey, 2004, Barkly Region. Northern Territory Government, Department of Primary Industry, Fisheries and Mines, Darwin. Bunn, S. E. & Davies, P. M. (1999). Aquatic food webs in turbid, arid zone rivers: preliminary data from Cooper Creek, Queensland. In: Free-Flowing River: the Ecology of the Paroo River Kingsford, R. T. (Ed), pp.67-76. New South Wales National Parks and Wildlife Service, Sydney. Bunn, S. E., Balcombe, S. R., Davies, P. M., Fellows, C. S. & McKenzie-Smith, F. J. (2006). Aquatic productivity and food webs of desert river ecosystems. In: Ecology of Desert Rivers (Ed. R T. Kingsford). Pp. 76-99. Cambridge Univ. Press, Melbourne. Bunn, S. E., Davies, P. M. & Kellaway, D. M. (1997). Contributions of sugar cane and invasive pasture grass to the aquatic food web of a tropical lowland stream. Mar. Freshwater Res. 48:173-179. Bunn, S. E., Davies, P. M. & Mosisch, T. D. (1999). Ecosystem measures of river health and their response to riparian and catchment degradation. Freshwater Biology 41:333-345. Bunn, S. E., Davies, P. M. & Winning, M. (2003). Sources of organic carbon supporting the food web of an arid zone floodplain river. Freshwater Biology 48:619-635. Bunn, S. E., Davies, P. M., Kellaway, P. M. & Prosser, I. P. (1998). Influence of invasive macrophytes on channel morphology and hydrology in an open tropical lowland stream and potential control by riparian shading. Freshwater Biology 39:171-178. Bunn, S. E., Thomas, M. C., Hamilton, S. K. & Capon, S. J. (2006). Flow variability in dry-land rivers: boom, bust and the bits in between. River Res. Appl. 22:179-186. Burch, M. D. (1993). The development of an alert level response framework for the management of blue-green algal blooms. In: Blue-green algal blooms – new developments in research and management. Symposium convened by the Australian Centre for Water Quality Research, University of Adelaide, February, 1993, Adelaide. Burford, M. A., Cook, A. J., Fellows, C. S., Balcombe, S. R. & Bunn, S. E. (2008). Sources of carbon fuelling production in an arid floodplain river. Mar. Freshwater Res. 59:224-234. Burrows, N. D., Burbidge, A. A. & Fuller, P. J. (2006). Evidence of altered fire regimes in the western desert region of Australia. Conservation science W. Aust. 5: 272-284. Burt, R. L. (1993). Desmanthus: A tropical and subtropical forage legume. Part I. General review. Herbage Abstracts, 63:401-413. Byth, S. (1980). Palm Island mystery disease. Med. J. Aust. 2:40-42. Camacho, R., Boyero, L., Cornejo, A., Ibáñez, A. & Pearson, R. G. (2009). Local variation in shredder distribution can explain their oversight in tropical streams. Biotropica 41:625-632. Cameron McNamara. Pty. Ltd. (1982). The Bradfield Concept, Preliminary Study. A Report Prepared for the Co-Ordinator General, Queensland. Carter, J. O. (1986). The use of Chenopod species for mine revegetation in central Queensland. M. Sc. Thesis, University of Queensland. Chan, T. U., Hart, B. T., Kennard, M. J., Pusey, B. J., Shenton, W., Douglas, M. M., Valentine, E. & Sandeep, P. (2012). Bayesian network models for environmental flow decision making in the Daly River, Northern Territory, Australia. River Res. Applic. 28:283-301. Changes in algal, coral and fish assemblages along water quality gradients on the inshore Great Barrier Reef. Marine Pollution Bulletin, 51:384-398. Chen, Y. (1988). Early Holocene population of some rainforest trees at Lake Barrine basin, Queensland. Aust. J. Ecol. 13:225-233. Cheng, K. L., Hogan, A. C., Harford, A. J. & van Dam, R. A. (2013). Reference toxicity testing for routine toxicity test species. In: eriss Research Summary 2011-2012. van Dam, R, A., Webb, A. & Parker, S. M. (eds.). Supervising Scientist Report 204. Supervising Scientist, Darwin, NT. Cheshire, K., Boyero, L. & Pearson, R. G. (2005). Food webs in tropical Australian streams. Freshwater Biol. 50:748-769. Chilcott, C. R., McCallum, B. S., Quirk, M. F. & Paton, C. J. (2003). Grazing land management education package; workshop notes – Burdekin. Meat and Livestock Australia Limited, Sydney. Christian, C. S. & Aldreck, J. M. (1977). Alligator Rivers study: A review report of the Alligator Rivers Region environmental fact-finding study. Australian Government Publishing Service, Canberra. Clements, R. J. & Henzell, E. F. (2010). Pasture research and development in northern Australia: an ongoing scientific adventure. Tropical Grasslands 44:221-230. Close, P.G., Dobbs, R. J., Tunbridge, D. J., Speldewinde, P. C., Warfe, D. M., Toussant, S. & Davies, P. M. (2014). Customary and recreational fishing pressure: large-bodied fish assemblages in a tropical Australian river. Mar. & Freshwater. Res. 65:466-474. Clough, B. F. (1992). Primary productivity and growth of mangrove forests. In: Robertson, A. I. & Alongi, D. M. (eds.) Coastal and Estuarine Studies: Tropical Mangrove Systems. pp.225-249. American Geophysical Union, Washington D.C., USA. Coates, D. B., Miller, C. P., Hendricksen, R. E. & Jones, R. J. (1997). Stability and productivity of Stylosanthes pastures in Australia. II. Animal production from Stylosanthes pastures. Tropical Grasslands 31:494-502. Cononico, G. C., Arthington, A., McCrary, J. K. & Thieme, M. L. (2005). The effects of introduced tilapias on native biodiversity. Aquatic Conservation: Mar. Freshwater Ecosystems. 15:463-483. Cook, G. D., Setterfield, S. A. & Maddison, J. P. (1996). Shrub invasions of a tropical wetland: implications for weed management. Ecological Applications 6:531-537. Cook, P. G., Favreau, G., Dighton, J. C. & Tickell, S. (2003). Determining natural groundwater influx to a tropical river using radon, chlorofluororcarbons and ionic environmental tracers. J. Hydrology 277:74-88. Cook, P. G., Hatton, T. J., Pidsley, D., Herczeg, A. L., Held, A., O’Grady, A. O. & Eamus, D. (1998). Water balance of a tropical woodland ecosystem, Northern Australia: A combination of micro-meteorological, soil physical and groundwater chemical approaches. J. Hydrology 210:161-177. Cowie, I. D. & Werner, P. A. (1993). Alien plant species invasive in Kakadu National Park, tropical Northern Australia. Biological Conservation 63:127-135. CSIRO (2010). Northern Australia Land and Water Task Force Report. CSIRO National Research Flagship Program. (2009a). Water in the Timor Sea Drainage Division. Report to the Australian Government from the CSIRO Northern Australia Sustainable Yield Project. CSIRO, Australia. CSIRO National Research Flagship Program. (2009b). Water in the Gulf of Carpentaria Drainage Division. Report to the Australian Government from the CSIRO Northern Australia Sustainable Yield Project. CSIRO, Australia. CSIRO National Research Flagship Program. (2009c). Water in the North-East Coast Drainage Division. Report to the Australian Government from the CSIRO Northern Australia Sustainable Yield Project. CSIRO, Australia. Davidson, B. R. (1965). The Northern Myth: A study of the Physical and Economic Limits to Agricultural and Pastoral Development in Tropical Australia. Melbourne University Press, Carlton, Victoria, Australia. Davies, P. M., Bunn, S. E. & Hamilton, S. K. (2008). Primary production in tropical streams and rivers. In: Dudgeon, D. (Ed.). Tropical Stream Ecology. Academic Press, Elsevier Inc.
Davis, A. M., Lewis, S. E., O’Brien, D. S.., Bainbridge, Z. T., Bentley, C., Mueller, J. F. & Brodie, J. E. (2013). Water resource development and high value coastal wetlands on the Lower Burdekin Floodplain, Australia. In: Wolanski, E. (ed.). Estuaries of Australia in 2050 and Beyond. Springer Science+Business Media, Dordrecht. De Groot, R., Finlayson, M., Verschuuren, B., Ypma, O. & Zylstra, M. (2008). Integrated assessment of wetland services and values as a tool to analyse policy trade-offs and management options. Supervising Scientist Report 198, Australian Government Department of the Environment, Canberra. Department of Primary Industry (1995). An overview of water resources and other related issues – Upper Burdekin Region, Queensland Department of Primary Industry (Water Resources), Brisbane, Queensland. Dight, I. (2009). Burdekin water quality improvement plan. NQ Dry Tropics, Townsville. Dinges, R. (1976). Water hyacinth culture for wastewater treatment. Texas Department of Health Resources, Division of Wastewater Technology and Surveillance. Austin Texas. pp.143. Dixon, I. R., Dixon, K. W. & Barrett, M. (2002). Eradication of buffel grass (Cenchrus ciliaris) on Airlie Island, Pilbara Coast, Western Australia. In: Veitch, C. R. & Clout, M. N. (eds.). Turning the Tide: the eradication of invasive species. Occasional paper of the Invasive Species Survival Commission, IUCN, Gland, Switzerland and Cambridge, UK. Dostine, P. L., Humphrey, C. L., Paltridge, R. M. & Boulton, A. J. (1997). Macroinvertebrate recolonisation after re-wetting of a tropical seasonally-flowing stream (Magela Creek, Northern Territory, Australia). Mar. & Freshwater. Res. 48:633-645. Douglas, M. M. (1999). Tropical Savannah Streams: Their seasonal dynamics and response to catchment disturbance. Ph.D. Thesis. Monash University, Melbourne, Australia. Douglas, M. M., Bunn, S. E. & Davies, P. M. (2005). River and wetland food webs in Australia’s wet-dry tropics: general principles and implications for management. Mar.& Freshwater. Res. 56:329-342. Doupé, R., Morgan, D., Gill. H., Rowland, A. & Annandale, D. (2003). Ecological and social issues concerning the establishment of a recreational barramundi fishery in Lake Kununurra. Report to the Lake Kununurra Fish Stocking Enhancement Committee & Ord Land and Water Inc.
Duivenvoorden, L. J. & Roberts, D. T. (1996). Aquatic Invertebrates. Downstream Effects of Land Use in the Fitzroy Catchment: November 1993-December 1996. Research Report, University of Central Queensland, pp.59-65. Duivenvoorden, L. J. (1992). The Dee River: Aquatic flora and acid mine discharge. In: Yezdani, H (Ed). Water Weeds Management in Queensland. Queensland University of Technology, Brisbane. Duivenvoorden, L. J. and others (2008). Ecological considerations of spray control for Hymenachne. In. Ecological, economic and social considerations of spray control for Hymenachne. Technical Report, Land and Water Australia. Duivenvoorden, L.J., Hamilton, D., Price, M. & Attard, T. (1999). Temporal variation of macroinvertebrate communities of impounded and riverine sites in Central Queensland. In. River Health in the Fitzroy Catchment. Queensland Department of Natural Resources, Rockhampton. Dunstan, D. J. (1959). The barramundi Lates calcarifer (Bloch) in Queensland waters. CSIRO Technical Paper No. 5. CSIRO, Melbourne. Dyni, J. R. (2006). Geology and resources of some world oil-shale deposits. Oil Shale 20:193-252. Eamus, D. & Froend, R. (2006). Groundwater-dependent ecosystems: where, what and why of GDEs. Aust. J. Bot. 54:91-96. Eberhard, S. M., Halse, S. A. & Humphries, W. F. (2005). Stygofauna in the Pilbara region, north-west Western Australia: A review. Journal of the Royal Society of Western Australia 88:167-176. Eliot, I., Finlayson, C. M. & Waterman, P. (1999). Predicted climate change, sea level rise and wetland management in the Australian wet-dry tropics. Wetlands Ecology and Management 7:63-81. Engineers Australia (2010). Queensland Infrastructure Report Card. www.engineersaustralia.org.au. Environment Australia (1999). Managing water in an arid environment. In. Water Management: Best Practice Environmental Management in Mining. Federal Department of the Environment and Heritage. Environment Western Australia (1998). Western Australian State of the Environment Report. Department of Environmental Protection, Perth W.A. Erskine, W. & Saynor, M. (2000). Assessment of the off-site geomorphic impacts of uranium mining on Magela Creek, NT, Australia. In: Supervising Scientist Report 156, Supervising Scientist summary 2013-2014, Darwin, NT. Erskine, W. D., Begg, G. W., Jolly, P., Georges, A., O’Grady, A., Eamus, D., Rees, N., Dostine, P., Townsend, S. & Padovan, A. (2003). Recommended environmental water requirements for the Daly River, Northern Territory, based on ecological, hydrological and biological principles. Report for the Northern Territory Department of Infrastructure Planning and Environment and Office of the Supervising Scientist, Darwin. Fabbro, L. D. & Duivenvoorden, L. J. (1996). Profile of a bloom of the cyanobacterium Cylindrospermopsis raciborskii (Woloszynska) Seenaya and Subba Raju in the Fitzroy River in Tropical Central Queensland. Mar. Freshwater Res. 47:685-694. Fabbro, L. D. & Duivenvoorden, L. J. (2000). A two-part model linking multidimensional environmental gradients and seasonal succession of phytoplankton assemblages. Hydrobiologia 438:13-24. Fabricius, K. E., De’ath, G., McCook, L., Turak, E. & Williams, D. B. (2005). Faggotter, S. J., Webster, I. T. & Burford, M. A. (2013). Factors controlling primary productivity in a wet-dry tropical river. Mar. Freshwater. Res. 64:585-598. Fairweather, I. (1966). History of Townsville’s water supply augmentation, Townsville City Council Internal Report. Faithful, J. W. & Finlayson, W. (2004). Water quality assessment for sustainable agriculture – Tully-Murray rivers catchment area and Granite Creek on the Atherton Tablelands. Report to Australian Centre for Tropical Rainforest Research, James Cook University, Queensland. Faithful, J. W. & Griffiths, D. J. (2000). Turbid flow through a tropical reservoir (Lake Dalrymple, Queensland, Australia): Responses to a summer storm event. Lakes & Reservoirs: Research and Management 5:231-247. Farrell, T. P. (1978). The spread and control of Salvinia molesta in Lake Moondarra, Mount Isa, Queensland. Proceedings, First Conference, Council of Aust. Weed Sci. Soc., Melbourne, April 1978. pp. 179-187. Farrell, T. P., Finlayson, C. M. & Griffiths, D. J. (1979). Studies of the hydrobiology of a tropical lake in north-western Queensland. I. Seasonal changes in chemical characteristics. Aust. J. Mar. Freshwater. Res. 30:579-595. Finlayson, C. M. & Gillies, J. C. (1982). Biological and Physicochemical Characteristics of the Ross River Dam, Townsville. Aust. J. Mar. Freshwater. Res. 33:811-827. Finlayson, C. M. & Lukacs, G. P. (2003). Status of wetlands in northern Australia. In: Dawson, N., Brodie, J et al. (Eds.). Proceedings of the 2nd National Conference on Aquatic Environments – Sustaining our aquatic environments – implementing solutions. Queensland Department of Natural Resources and Mines, Brisbane, Australia. Finlayson, C. M. & von Oertzen, I. (1996). ‘The Kakadu Region.’ In: Landscapes and vegetation ecology of the Kakadu Region, Northern Australia. C. M. Finlayson & I. von Oertzen (Eds.). Geobotany 23, Kluwer Academic Publishers, Dordrecht, The Netherlands. Finlayson, C. M., Bailey, B. J. & Cowie, I. D. (1989). Macrophyte vegetation of the Magela Creek floodplain, Alligator Rivers Region, Northern Territory. Research Report 5. Supervising Scientist for the Alligator Rivers Region, AGPS, Canberra. Finlayson, C. M., Clarke, S. J., Davidson, N. C. & Gell, P. (2015). Role of palaeoecology in describing the ecological character of wetlands. Mar. & Freshwater. Res. http://dx.doi.org/10.1071/MF15293. Finlayson, C. M., Cowie, I. D. & Bailey, B. J. (1993). Biomass and litter dynamics in a Melaleuca forest on a seasonally inundated floodplain in tropical, northern Australia. Wetlands Ecology and Management 2:177-188. Finlayson, C. M., Eliot, I. & Eliot, M. (2008). A strategic framework for monitoring coastal change in Australia’s wet-dry tropics – concepts and progress. Australian Geographic. Finlayson, C. M., Farrell, T. P. & Griffiths, D. J. (1982). Treatment of sewage effluent using the water fern Salvinia. Water Research Foundation of Australia. Report No. 57. 35pp + Appendix. Finlayson, C. M., Farrell, T. P. & Griffiths, D. J. (1984). Studies of the hydrobiology of a tropical lake in north-western Queensland. III. Growth, chemical composition and potential for harvesting of the aquatic vegetation. Aust. J. Freshwater. Res. 35:525-536. Fittock, J. E. (1993). Nickel and cobalt refining by QNI pty. ltd., Yabulu, Queensland. “Mawby”- AUSIMM Monograph 19, pp.47. FitzSimmons, N. N., Featherstone, P. & Tucker, A. D. (2015). Comparative dietary ecology of turtles (Chelodina burrungandjii and Emydura victoriae) across the Kimberley Plateau, Western Australia, prior to the arrival of cane toads. Mar. & Freshwater. Res. http://dx.doi.org/10.1071/MF15199. Fleming, P. M. & Loofs, P. M. (1991). Flood generation and transmission in the Burdekin and Haughton Rivers, North Queensland. CSIRO (Div. Water Resources) Techn. Mem. 91/15, Canberra, Australia. Fleming, P. M., Gunn, R. H., Reece, A. M. & McAlpine, J. R. (Eds.). (1981). Burdekin Project Ecological Study. Australian Department of National Development and Energy, Canberra, Australia. Flint, N., Crossland, M. R. & Pearson, R. G. (2014). Sublethal effects of fluctuating hypoxia on juvenile tropical Australian freshwater fish. Mar. & Freshwater. Res. 66:293-304. Flynn, J. (2013). From cane to cattle and back again. Australian Canegrower November 2013. Fox, R. W., Kelleher, G. G. & Kerr, C. B. (1977). Ranger Uranium Environmental Inquiry – Second Report. Australian Government Publishing Service, Canberra). Freebairn, D., Truong, P., Miles, R., Ciesiolka, C., Titmarsh, G. & Norrish, S. (1996). Practical measures to counter soil erosion. In: Hunter, H. A., Eyles, A. G. & Rayment, G. E. (Eds.). Downstream effects of land use. Queensland Department of Natural Resources, Brisbane. pp. 213-219. Freeny, J. R., Denmead, O. T., Wood, A. W. & Saffigna, P. G. (1994). Ammonia loss following urea addition to sugar cane trash blankets. Proceedings Aust. Soc of Sugar Cane Technologists 16:114-121. Frostick, A., Curtis, L. & Erskine, W. D. (2013b). Chemical and physical monitoring of Gulungul Creek. In: eriss Research Summary 2011-2012. van Dam, R. A., Webb, A. & Parker, S. M. (eds.). Supervising Scientist Report 204, Supervising Scientist, Darwin, NT. Frostick, A., Turner, K., Fagan, S. & Erskine, W. D. (2013a). Chemical and physical monitoring of Magela Creek. In: eriss Research Summary 2011-2012. van Dam, R. A., Webb, A. & Parker, S. M. (eds.). Supervising Scientist Report 204, Supervising Scientist, Darwin, NT. Furnas, M. (2003). Terrestrial runoff to the Great Barrier Reef. In: Catchments and Corals. Internal Report, Australian Institute of Marine Science, Townsville. Gabrera-Guzmán, E., Crossland, M. R. & Shine, R. (2013). Mechanism of competition between tadpoles of Australian frogs (Litoria sp.) and invasive cane toads (Rhinella marinus). Freshwater Biology 58:2584-2600. Gardner, R. C. & Davidson, N. C. (2011). The Ramsar Convention. In: Le Page, B. (Ed.) Wetlands – Integrating Multidisciplinary Concepts. Springer, Dordrecht, The Netherlands. pp189-203. Gardner, S. & Finlayson, C. M. (2002). Description of the flora and vertebrate fauna of Magela Creek, Alligator Rivers Region, northern Australia. In: Gardner, S., Finlayson, C. M. & Pidgeon, R. W. J. (Eds.). Description and literature review of the flora and vertebrate fauna of Magela Creek, Alligator Rivers Region, northern Australia. Scientist Report 169. Supervising Scientist, Darwin, N.T. Gardner, S., Finlayson, C. M. & Pidgeon, R. W. J. (2002). Description and literature review of the flora and vertebrate fauna of Magela Creek, Alligator Rivers Region, northern Australia. Scientist Report 169. Supervising Scientist, Darwin, N.T. Ghassemi, F. & White, I. (2007). Inter-Basin Water Transfer: Case Studies from Australia, United States, Canada, China and India. Cambridge University Press, Cambridge, UK. Gordon, I. (2013). Water quality and the Fitzroy basin – Balancing community, industry, and government expectations. In: Water in Mining 2013. The Australasian Institute of Mining and Metallurgy. Publication Series No. 12/2013. pp.135-142. Grant, E. M. (1975). Guide to Fishes. Queensland Co-ordinator General Department, Brisbane. Griffiths, D. J. & Faithful, J. W. (1996). Effects of the sediment load of a tropical North-Australian river on water column characteristics in the receiving impoundment. Arch. Hydrobiol. Suppl. 113 Large Rivers 10, 1-4:147-157. Griffiths, D. J. & Farrell, P. D. (1991). Turbidity and water quality in tropical reservoirs in Northern Australia. Verh. Internat. Verein. Limnol. 24:1465-1470. Griffiths, D. J. & Saker, M. L. (2003). The Palm Island mystery disease 20 years on: A review of research on the cyanotoxin cylindrospermopsin. Environ. Toxicol. 18:78-93. Grigg, W. L. & Wallwork, A. T. (1980). Management of conjunctively-used water resources systems in an alluvial valley. In: Water and Energy resources of the Fitzroy River Basin. Water Resources Foundation of Australia. Symposium of the Queensland State Committee, Rockhampton, Oct. 1980. Habermehl, M. A. (1982). Springs in the Great Artesian Basin, Australia – their origin, and nature. Bureau of Mineral Resources, Geology and Geophysics Report 235, Bureau of Mineral Resources, Canberra, ACT. Hall, T. J. & Walker, R. W. (2005). Pasture legume adaptation to six environments of the seasonally dry tropics of north Queensland. Tropical Grasslands, 39:182-196. Ham, G. J. (2007). Farming system changes and fertiliser loss in an irrigated sugarcane area – the Burdekin. Proc. 29th Conf. Aust. Soc. Sugar Cane Technol., Cairns. Hamilton, S. K. & Gehrke, P. C. (2005). Australia’s tropical river systems: current scientific understanding and critical knowledge gaps for sustainable management. Marine and Freshwater Research 56:243-252. Hamilton, S. K., Bunn, S. E., Thomas, M. C. & Marshall, J. C. (2005). Persistence of aquatic refugia between flow pulses in a dryland river system (Cooper Creek, Australia. Limnol. Oceanogr. 50:743-754. Harford, A. J., van Dam, R. A., Humphrey, C. L., Jones, D. R., Simpson, S. L., Chariton, A. A., Gibb, K. S. & Stauber J. L. (2013). The toxicity of uranium (U) to sediment biota of Magela Creek backflow billabong environments. In: eriss research summary 2011-2012. van Dam, R. A., Webb, A. & Parker, S. M. (eds.). Supervising Scientist Report 204. Supervising Scientist, Darwin, NT. Harris, G. P. (2000). The Health of Australian Rivers: Making Sense of Water Quality Data. Research Report: Water Research Foundation of Australia. (11th Annual Jack Beale Water Resources Lecture). Hart, B. T. (1974). A compilation of Australian water quality criteria. Aust. Water Resources Council, Technical paper No. 7. Aust. Gov. Publ. Services, Canberra. Hart, B. T., Day, G. Sharp-Paul, A. & Beer, T. (1988). Water quality variations during a flood event in the Annan River, North Queensland. Aust. J. Mar. Freshwater. Res. 39:225-243. Hart, B. T., Ottaway, E. M. & Noller, B.N. (1987). Magela Creek system, Northern Australia. II. Material budget for the floodplain. Aust. J. Mar. Freshwater Res. 38:861-876. Hawden, W. L. & Bunn, S. E. (2004). Can tourists influence the contribution of autochthonous carbon to littoral zone food webs? Mar. & Freshwater Res. 55:701-708. Hawden, W. L. & Bunn, S. E. (2004). Tourists increase the contribution of Autochthonous carbon to littoral zone food webs in oligotrophic dune lakes. Mar. & Freshwater Res. 55:701-708. Hawkins, P. R. & Griffiths, D. J. (1993). Artificial destratification of a small tropical reservoir: effects upon the phytoplankton. Hydrobiologia 254:169-181. Hawkins, P. R. (1986). Some aspects of the limnology of a small tropical impoundment and an assessment of two techniques for managing water quality, with special reference to the growth of cyanobacteria [PhD thesis], James Cook University, Townsville, Australia. Hawkins, P. R., Runnegar, M. T. C., Jackson, A. R. B. & Falconer, I. R. (1985). Severe hepatotoxicity caused by the tropical cyanobacterium Cylindrospermopsis raciborskii (Woloszynska) Seenaya and Subba Raju isolated from a domestic supply reservoir. Appl. Environ. Microbiol. 50:1292-1295. Haynes, D., Brodie, J., and others. (2001). Great Barrier Reef water quality: current issues. Great Barrier Reef Marine Park Authority, Townsville. Head, L. (1999). The northern myth revisited? Aboriginies, environment and agriculture in the Ord River Irrigation Scheme, stages one and two. Aust. Geogr. 30:141-158. Herbert, B., Peeters, J. Graham, P. & Hogan, A. (1995). Fish Fauna Survey Project. Cape York Peninsula Land Use Strategy, Office of the Co-ordinator General and Department of Primary Industries, Government of Queensland, Brisbane and Department of Environment Sport and Territories, Canberra. Hoatson, D.M. and others. (2000). Kakadu and Nitmiluk National Parks, Northern Territory: A guide to the rocks, landforms, plants, animals, Aboriginal culture and human impact. Canberra, Australian Geological Survey Organisation. Hoegh-Guldberg, O. (1999). Climate change, coral bleaching and the future of the world’s coral reefs. Mar. & Freshwater Res. 50:839-866. Hogan, A. C., Trenfield, M. A., Harford, A. J. & van Dam, R. A. (2013). Derivation of a trigger value versus exposure duration model for EC and Mg using pulse exposure toxicity data. In: eriss Research Summary 2011-2012. van Dam, R. A., Webb, A. & Parker, S. M. (eds.). Supervising Scientist Report 204. Supervising Scientist, Darwin, NT. Holland, A., Duivenvoorden, L. J. & Kinnear, S. H. W. (2014). Effect of key water quality variables on macroinvertebrate and fish communities within naturally acidic wallum streams. Mar. & Freshwater Res. Dx.doi.org/10.1071/MF13285. Hollingworth Dames & Moore. (1992). McArthur River Project: Environmental Impact Statement. Commissioned report for Mount Isa Mines. Holloway, P. E., Humphries, S. E., Atkinson, M. & Imberger, J. (1985). Mechanisms for nitrogen supply to the North West Shelf. Aust. J. Mar. Freshwater Res. 36:753-764. Holmes, (1986). N. T. Department of Lands. Uniquest. Horn, A. M. (1995). Surface Water Resources of Cape York Peninsula. Cape York Land Use Strategy, Office of the Co-ordinator General of Queensland, Brisbane; Department of the Environment, Sport and Territories, Canberra and Queensland Department of Primary Industries. Horn, A. M., Derrington, E. A., Herbert, G. C., Lait, R. W. & Hillier, J. R.. (1995). The Groundwater Resources of Cape York. Cape York Peninsula Land Use Strategy, Office of the Co-ordinator General and Department of Primary Industries, Government of Queensland, Department of Environment, Sport and Territories and Australian Geological Survey Organisation, Canberra. Horton, H. (1976). Around Mount Isa: A Guide to the Flora and Fauna. University of Queensland Press, St. Lucia, Queensland. Hughes, J. M., Bunn, S. E., Hurwood, D. A., Choy, S. & Pearson, R. G. (1996). Genetic differentiation among populations of Cardinia zebra (Decapoda: Atyidae) in tropical rainforest streams, northern Australia. Freshwater Biology 36:289-296. Humphrey, C. L. (2013). Use of vegetation analogues to guide planning for rehabilitation of the Ranger mine site. In: eriss Research summary 2011-2012. van Dam, R. A., Webb, A. & Parker, S. M. (eds.). Supervising Scientist Report 204, Supervising Scientist, Darwin, NT. Humphrey, C. L., Klumpp, D. W. & Pearson, R. G. (2003). Early development and growth of the eastern rainbowfish, Melanotaenia splendida splendida (Peters). I. Morphogenesis and ontogeny. Mar. & Freshwater. Res. 54:17-25. Humphrey, C. L., Thurtell, L., Pidgeon, R. W. J., van Dam, R. A. & Finlayson, C. M. (1998). A model for assessing the health of Kakadu’s streams. In: Biology in the wet-dry tropics: still wet behind the ears? Vardon, M. & Noske, R (Eds.). Australian Biologist 12 (1) pp.33-42. Proceedings of the Symposium of the Australian Institute of Biology, Northern Territory University, Darwin, 11th July, 1998. Humphrey, C., Gardener, M., Lu, P. & Bartole, R. (2015). Ranger revegetation. In: eriss 2013-2014. pp. 191-198. Supervising Scientist, Darwin, NT. Hunt, R. J., Jardine, T. D., Hamilton, S. K. & Bunn, S. E. (2012). Temporal and spatial variation in ecosystem metabolism and food web carbon transfer in a wet-dry tropical river. Freshwater Biology 57:435-450. Hunter, H. M. & Armour, J. D. (2001). Offsite movements of nutrients: contrasting issues at three Australian sites. In: Offsite movement of agrochemicals in tropical sugar cane production. Proceedings of workshop, Bundaberg, 8-9 May 2001. Australian Centre for International Agricultural Research, Canberra. Idso, S. B. (1973). On the concept of Lake Stability. Limnol. Oceanogr. 28:681-683. Imberger, J. & Patterson, J. C. (1990). Physical Limnology. Advances in Applied Mechanics 27:303-475. Inman-Bamber, N. G., Muchow, R. C., Holden, J. R., Robertson, M. J. & Ham, G. J. (1998). Soil water extraction by sugar cane beyond the readily available limit. Proc. 20th Conf. Aust. Soc. Sugar Cane Technol. 112-117. Izac, A-M. N., Anaman, K. A. & Jones, R. J. (1990). Biological and economic optima in a tropical grazing ecosystem in Australia. Agriculture, Ecosystems and Environment 30:265-279. Jackson, S. & Altman, J. (2009). Indigenous rights and water policy: perspectives from tropical northern Australia. Aust. Indigenous Law Rev. 13:27-48. Jackson, S. & Douglas, M. (2007). A case for Indigenous water management. In: Luckert, M. K. et al.(Eds.). Investing in Indigenous Natural Resource Management. Charles Darwin University, Darwin, Australia. pp. 53-61. Jackson, S., Finn, M. & Featherstone, P. (2012). Aquatic resource use by Indigenous Australians in two tropical river catchments: the Fitzroy River and Daly River. Human Ecology 40:893-908. Jacobson, G., Habermehl, M. A. & Lau, J. E. (1983). Australia’s Groundwater Resources. In: Water 2000. Consultant’s Report No. 2. Department of Resources and Energy. Australian Gov. Publishing Service, Canberra. Jaensch, R. (2009). Indigenous rangers from the Gulf of Carpentaria close major knowledge gaps. Wetlands Australia, 17:6-7. Jaensch, R. (2010). Free-flowing rivers of the Channel Country: Conservation implications of the 2009 Georgina-Diamantina flood. Wetlands Australia, 18:18-19. Jardine, T. D., Hunt, R. J., Faggotter, S. J., Valdez, D., Burford, M. A. & Bunn, S. E. (2013). Carbon from periphyton supports fish biomass in waterholes of a wet-dry tropical river. River Res. Applic. 29:560-573. Johnson, A. K. J., Ebert, S. P. & Murray, A. E. (1999). Distribution of coastal freshwater wetlands and riparian forests in the Herbert River catchment and implications for management of catchments adjacent the Great Barrier Reef Marine Park. Environmental Conservation 3:229-235. Johnson, S & Wright, A. (2001). Central Pilbara Groundwater Study. Water and Rivers Commission, Perth, W.A. Jones, D. R., Chapman, B. M. & Jung, R. F. (1988). Leaching potential of the Hilton mine waste rock dump. Consultancy Report for MIM by CSIRO Division of Coal Technology, August 1988. Jones, R. J. & Le Feuvre, R. P. (2006). Pasture production, pasture quality and their relationships with steer gains on irrigated, N-fertilised pangola grass at a range of stocking rates in the Ord Valley, Western Australia. Tropical Grasslands 40:1-13. Jones, R. J. (1990). Nitrogen rate and stocking rate effects on steer gains from grazed irrigated pangola grass in the Ord Valley, Western Australia. Aust. J. Exptl. Agric. 30:599-605. Junk, W. J., Bayley, P. B. & Sparks, R. E. (1989). The flood-pulse concept in river-floodplain systems. In: Proceedings of the International Large River Symposium Dodge, D. P. (Ed.). Canadian Special Publications Fisheries and Aquatic Sciences. 106:110-127. Kelly, J. N. & Wong, W. T. (1996). Sediment transport in the Fitzroy River during flood events. In: (Rutherford, I. & Walker, M. Eds.) Proceedings of the 1st National Conference of Stream Management in Australia. Merrijig, February, 1996, pp19-21. Kelly, R. E. (1987). Rehabilitation of mined land in the Central Queensland coalfields. In: Farrell, T. P. (Ed.). Mining Rehabilitation ’87. Cape York Peninsula, Australia. Australian Mining Industry Council, Canberra, ACT. Kennard, M. J., Pusey, B. J., Olden, J. D., Mackay, S. J., Stein, J. L. & Marsh, N. (2010). Classification of natural flow regimes in Australia to support environmental flow management. Freshwater Biol. 55:171-193. Kessell, J. A. & Tyler, P. A. (1982). Phytoplankton populations of the Magela Creek system, Alligator Rivers Region, N.T. Open file record 18. Supervising Scientist for the Alligator Rivers Region, Canberra. Kingsford, R. T. (2000). Ecological impacts of dams, water diversions and river management on floodplain wetlands in Australia. Austral Ecology 25:109-127. Kingsford, R. T., Curtin, A. L. & Porter, J. L. (1999). Water flows on Cooper Creek determine ‘boom’ and ‘bust’ periods for waterbirds. Biological Conservation 88:231-248. Kinsey, D. W. & Davies, P. J. (1979). Effects of elevated nitrogen and phosphorus on coral reef growth. Limnol. Oceaogr. 24:935-940. Klok, J. & Ham, G. (2004). A pilot study into pesticides and the Burdekin delta aquifer system. Proc.26th Conf. Aust. Soc. Sugar Cane Technol. Knerr, N. J. A. (1998). Grassland community dynamics of a freshwater tropical floodplain: Invasion of Brachiaria mutica (Para grass) on the Magela Floodplain, Kakadu National Park. Internal Report 275, Supervising Scientist, Canberra. Kroon, F. J. (2008). Draft Tully water quality improvement plan. CSIRO Sustainable Ecosystems, Report to Terrain NRM, Atherton, Qld. Lassiere, O. & McCredie, A. (1983). A survey of the vegetation and soils of the Hilton mine area. MIM Research and Development Technical Report, July/August 1983. Latimer, C. (2011). Mining Australia, June, 2011. Laurie, V. (2010). The Kimberley – Australia’s last great wilderness. Univ. of West Australia Publishing. Lawton, M. D. & Overall, R. (2002). Water quality in Whites and Intermediate open cuts. In: Pidsley, S. M. (Ed.) Surface Water Monitoring, Rum Jungle Rehabilitation Project Monitoring Report 1993-1998, pp.74-92. Lazarides, M., van den Borre, A. & Willer, C. M. (2005). Eriachne. In. Mallett, K. (ed.) Flora of Australia. Vol. 44B, Poaceae 3. pp. 132-174. CSIRO, Melbourne. Lesslie, R., Abrahams, H. & Maslen, M. (1992). National Wilderness Inventory: Stage III. Wilderness Quality on Cape York Peninsula. Commonwealth Government Printer, Canberra. Lewis Jr., W. M. (2008). Physical and Chemical Features of Tropical Flowing waters. In: Dudgeon, D. (ed.) Tropical Stream Ecology. Elsevier/Academic Press. The Netherlands. Lewis, S. E., Bainbridge, Z. T., Kuhnert, P. M., Sherman, B. S., Henderson, B., Dougall, C., Cooper, M. & Brodie, J. E. (2013). Calculating sediment trapping efficiencies for reservoirs in tropical settings: A case study from the Burdekin Falls Dam, N.E. Australia. Water Resour. Res. 49:1017-1029. Lewis, S. E., Brodie, J. E., Bainbridge, Z. T. and seven others. (2009). Herbicides: A new threat to the Great Barrier Reef. Env. Pollution 157:2470-2484. Ling, H. U. & Tyler, P. A. (1983). A limnological survey of the Alligator Rivers Region. Volume II. Freshwater algae exclusive of diatoms. Research Report 3 (ii). Supervising Scientist for the Alligator Rivers Region, AGPS, Canberra, Australia. Londsdale, W. M. (1992). A guide to the management of Mimosa pigra. In: Harley, K. L. S. (Ed). The biology of Mimosa pigra pp.8-32. CSIRO, Canberra, Australia. Loneragan, N. R., Bunn, S. E. & Kellaway, D. M. (1997). Are mangroves and seagrasses sources of organic carbon for penaeid prawns in a tropical Australian estuary? A multiple stable-isotope study. Marine Biol. 130:289-300. Lorimer, M. S. (1978). Forage selection studies. I. The botanical composition of forage selected by sheep grazing Astrebla spp. pastures in north-west Queensland. Tropical Grasslands, 12:97-108. Lostrom, S., Evans, J. P., Grierson, P. F., Collin, S. P., Davies, P. M. & Kelley, J. L. (2015). Linking stream ecology with morphological variability in a native freshwater fish from semi-arid Australia. Ecology & Evolution 5:3272-3287. Loy, A. (1991). Report on Water Resources Assessment Eastern Cape York (Drainage Basins 101-107), Volumes 1 and 2. Queensland Water Resources Commission, Brisbane. Ludescher, C. M. (1997). Fisheries Resources between Bowen and Tully. Queensland Fisheries Management Authority, Brisbane. Ludwig, J. A. & Tongway, D. J. (2002). Clearing savannas for use as rangelands in Queensland: altered landscapes and water erosion processes. Rangelands Journal 24:83-95. Lukacs, G. P. & Finlayson, C. M. (2008). A Compendium of Ecological Information on Australia’s Northern Tropical Rivers – an integrated data assessment and analysis (DET18). A report to Land & Water Australia. National Centre for Tropical Wetland Research, Townsville, Queensland. Mackay, A. & Erskine, W. D. (2013). Calculating annual solute loads in Gulungul Creek. In: eriss Research Summary 2011-2012. van Dam, R. A., Webb, A. & Parker, S. M. (eds.). Supervising Scientist Report 204. Supervising Scientist, Darwin, NT. Mackay, A. K. & Taylor, M. P. (2013). Floodwater metal contaminants in an Australian dryland river: A baseline for assessing change downstream of a major lead-zinc-silver and copper mine. J. Environ. Qual. 42:474-483. Macphail, M. K. & Stone, M. S. (2004). Age and palaeoenvironmental constraints on the genesis of the Yandi channel iron deposits, Marillana Formation, Pilbara, north-western Australia. Aust. J. Earth Sciences 51:497-520. Malcolm, W., Sale, P. & Egan, A. (1996). Agriculture in Australia, an Introduction. Oxford University Press. Mather, P. B., & Arthington, A. H. (1991). An assessment of genetic differentiation among feral Australian tilapia populations. Mar. and Freshwater Res. 42:721-728. McCall, T. (1999). Devolution in Embryo. The McArthur River Mine. In: Walker, K. J. & Crowley, K. (eds.) Australian Environmental Policy 2: Studies in Decline and Devolution. Univ. of New South Wales Press, Sydney, Australia. McClure, J. (2005). Wetlands and waterbirds management in the southern Gulf of Carpentaria. Wetlands Australia Issue No. 13:4-5. McCulloch, X., Fallon, S., Wyndham, T., Lough, J. & Barnes, D. (2003). Coral record of increased sediment flux to the inner Great Barrier Reef since European settlement. Nature 421:727-730. McDonald, L. (1981). Rockhampton: A History of City and District. Univ. of Queensland Press, St. Lucia, Queensland. McJannet, D., Marvanek, S., Kinsey-Henderson, A., Petheram, C. & Wallace, J. (2014). Persistence of in-stream waterholes in ephemeral rivers of tropical northern Australia and potential impacts of climate change. Mar. and Freshwater Res. 65:1131-1144. McKergow, L. A., Prosser, I. P., Hughes, A. O. & Brodie, J. (2005b). Sources of sediment to the Great Barrier Reef World Heritage Area. Marine Pollution Bulletin. 51:200-211. McKergow, L. A., Prosser, I. P., Hughes, A.O. & Brodie, J. (2005a). Regional scale nutrient scale modelling: exports to the Great Barrier Reef World Heritage Area. Marine Pollution Bulletin 51:186-199. McMahon, G. G. & Ham, G. J. (1994). Ridge-planting sugar cane on heavy clay soils in the Burdekin. Proc. 16th Conf. Aust Soc. Sugar Cane Technol. pp70-74. McNee, A. (1990). The status of Australian rivers and streams (with reference to the status of recreational fish species). Australian Recreational and Sport-fishing Confederation, Canberra, Australia. McNeill, D. (1999). Water as an economic good. Water Resources Journal, March, 1999. Midgley, H. (1973). Freshwater fish inventory and associated habitat information. Project 4, Alligatog Rivers Region environmental fact finding study. Report – Government of the Northern Territory. MIMAG. (1993). Underground dam saves Isa City water. MIMAG, February, 1993. p11. MIMAG. (1994). Clean-up for environment and water conservation. MIMAG, February, 1994. pp. 4-5. Mitchell, A. W. & Furnas, M. J. (1997). Terrestrial inputs and suspended sediments to the GBR lagoon. In: Proceedings of the CRC Reef GBRMPA Great Barrier Reef onference, James Cook University, Townsville, Queensland Australia. November, 1996. pp. 14. Mitchell, A. W., Reghenzani, J. R. & Furnas, M. (2001). Nitrogen levels in the Tully River – a long term view. Water Science & Technology 43:99-105. Mitchell, D. S. (1978). Aquatic Weeds in Australian Inland Waters. Australian Dept. of the Environment, Housing and Community Development, Canberra. Moller, G. (1996). An Ecological and Physical Assessment of the Condition of Streams in the Herbert River Catchment. State of the Rivers Report, Department of Natural Resources, Queensland Government. Morgan, D. L., Allen, M. G., Bedford, P. & Horstman, M. (2004). Fish fauna of the Fitzroy River in the Kimberley region of Western Australia – including the Bunuba, Gooniyandi, Ngarinyin, Nyikina and Walmajarri Aboriginal names. Rec. Western Australian Museum 22:147-161. Morgan, D. L., Rowland, A. J., Gill, S. G. & Doupe, R. G. (2004). The implications of introducing a large piscivore (Lates calcarifera) into a regulated northern Australian river (Lake Kununurra, Western Australia). Lakes and Reservoirs Research and Management 9:181-193. Morton, S., Brennan, K.G. & Armstrong, M. D. (1991). Distribution and abundance of water birds in the Alligator Rivers Region, Northern Territory. Open file record 86, Supervising Scientist for the Alligator Rivers Region, Canberra. Mulrennan, M. E. &Woodroffe, C. D. (1998). Holocene development of the lower Mary River plains, Northern Territory. The Holocene 8:565-579. Myers, G. S. (1951). Freshwater fishes and East Indian zoogeography. Stanford Ichthyol. Bull. 4:11-21. Neales, S. (2015). The environmental plan to restore the flow of our rivers has a harsh downside. The Australian, 11 June, 2015. Neldner, V. J. & Clarkson, J. R. (1995). Vegetation Survey and Mapping of Cape York Peninsula. Cape York Peninsula Land Use Strategy. Co-ordinator General, Department of Environment and Heritage, Government of Queensland, Brisbane, Department of Environment Sports and Territories, Canberra, Australian Geological Survey Organisation, Canberra. Nicol, T. (2006). ECOS Magazine 133 (Oct-Nov.2006). Nimmo, W. H. (1947). “The Bradfield Scheme.” Annual Report Bureau of Investigation, Brisbane. NLWRA (2001). Water-borne erosion. In: Australian Agriculture Assessment. Vol. 1 pp. 155-190. National Land and Water Resources Audit, Canberra. Noakes, A. W. (1947). Water for the Inland: A Brief and Vivid Outline of Conditions in the Outback of Queensland in which is Embodied the Reid and Dr. Bradfield Water Schemes. Rallings & Rallings, South Brisbane. Nolan, J. A. & Pearson, R. G. (1993). Processing of litter from an Australian tropical stream by Anisocentropus kirramus (Trichoptera, Calamoceratidea). Freshwater Biology 29:469-479. O’Connor, R., Humphrey, C., Dostine, P., Lynch, C. & Spiers, A. (1996). A survey of aquatic macroinvertebrates in lentic waterbodies of Magela and Nourlangie Creek catchments, Alligator Rivers Region, NT. Internal Report 225, Supervising Scientist, Canberra (Unpublished paper). Oram, R. W. (1990). Register of Australian herbage plant cultivars. CSIRO, Australia. Orr, T. M. (1990). Water Quality in the Lake Moondarra water supply system, North West Queensland, with emphasis on turbidity. Internal Report, Mount Isa Mines, Queensland. Outridge, P. M. (1988). Seasonal and spatial variation in benthic macroinvertebrate communities of Magela Creek, Northern Territory. Aust. J. Mar. Freshwater Res. 39:211-223. Ovenden, P. J. (1980). The transport of trace metals to the sediments of Lake Moondarra, Queensland, Australia. MIM Technical Report, RES. ENV 7. Pailles, C. & Moody, P. W. (1996). Phosphorus sorption-desorption by some sediments of the Johnstone Rivers catchment, northern Queensland. Aust. J. Mar. Freshwater Res. 43:1535-1545. Pannell, S. (2010). Martuwarra/Mardooworra (River Country): A report on the Indigenous heritage value of the Fitzroy River drainage system. Australian Heritage Commission, Canberra. Papoulias, D. & Velasco, A. (2007). Report to The US Geological Survey and US Fish & Wildlife Service, Frankfort, Kentucky, USA. Parslow, J., Margvelashvili, N., Palmer, D. and others (2003). The response of the lower Ord River and estuary to management of catchment flows and sediment and nutrient loads: Final science report. CSIRO Marine Research/Land and Water Australia, Hobart. Payne, A. I. & Mitchell, A. A. (2002). An assessment of the impact of Opthalmia Dam on the floodplain of the Fortescue River on Ethel Creek and Roy Hill Stations. pp. 1-69. Technical Report 124. Western Australia Department of Agriculture, Perth, Australia. Payne, A. I. (1986). The Ecology of Tropical Lakes and Rivers. John Wiley & Sons. Paynter, Q. & Flanagan, G. J. (2004). Integrating herbicide and mechanical control treatments with fire and biological control to manage an invasive wetland shrub, Mimosa pigra. J. Appl. Ecology 41:615-629. Pearl, J. (1985). Bayesian Networks: A model of self-activated memory for evidential reasoning. 7th Annual Conference of Cognitive Science Society. 15-17 August 1985. pp. 20. Pearson et al. (2013). Lagoons of the Tully-Murray floodplain in the Queensland Wet Tropics Bioregion. Mar. & Freshwater. Res. 64:208-222. Pearson, R. G. & Tobin, R. K. (1989). Litter consumption by invertebrates from an Australian tropical rainforest stream. Arch. Hydrobiol. 116:71-80. Pearson, R. G., Crossland, M., Butler, B. & Manwaring, S. (2003). Effects of cane-field drainage on the ecology of tropical waterways. Australian Centre for Tropical Freshwater Report No. 03/04, Townsville, Qld. Pearson, R. G., Tobin, R. K., Benson, I. J. & Smith, R. E. W. (1989). Standing crop and processing of rainforest litter in a tropical Australian stream. Arch. Hydrobiol. 115:481-498. Pedley, L. & Isbell, R. F. (1970). Plant communities of Cape York. Proc. Roy. Soc. Qld. 82:51-74.
Pepper, M., Doughty, P. & Keogh, J. S. (2013). Geodiversity and endemism in the iconic Australian Pilbara region: a review of landscape evolution and biotic response in an ancient refugium. J. Biogeography 40:1225-1239. Perna, C. & Burrows, D. (2005). Improved dissolved oxygen status following removal of exotic weed mats in important fish habitat lagoons of the tropical Burdekin River floodplain, Australia. Marine Pollution Bulletin 51:136-148. Pettit, N. E., Bayliss, P., Davies, P. M., Hamilton, S. K., Warfe, D. M., Bunn, S. E. and others. (2011). Seasonal contrasts in carbon resources and ecological processes on a tropical floodplain. Freshwater Biology 56:1047-1064. Phillips, L. J. (1984). Soil classification in the Hilton/Mount Isa Region. MIM Technical Report, September 1984. Pigram, J. J. (2006). Australia’s Water Resources: From use to management. CSIRO Publishing, Collingwood, Victoria, Australia. Pillans, B. (2007). Pre-Quaternary landscape inheritance in Australia. J. Quaternary Science 22:439-447. Pittock, B. (2003). Climate change – An Australian guide to the science and potential impacts. Australian Greenhouse Office, Australian Department of the Environment and Heritage, Canberra, Australia. Pittock, B., Abbs, D., Suppiah, R. & Jones, R. (2006). Climate background to past and future floods in Australia. In: Poinani, A. (Ed). Floods in an Arid Continent. Advances in Ecological Research 39:13-39. Plumb, T. (1980). Atlas of Australian Resources. Third Series, Vol. 1. Soils and Land Use. Commonwealth Government Printer, Canberra. Post, D. A., Loong, D., Burrows, D. & Faithful, J. (2004). Ecological monitoring of the Townsville Field Training Area. CSIRO Land and Water and Australian Centre for Tropical Freshwater Research, Client Report. Powell, J. M. (1991). Plains of Promise, Rivers of destiny: Water management and the development of Queensland 1824-1990. Boolarong Publications, Brisbane, Australia. Pringle, A. W. (1991). Fluvial sediment supply to the north Queensland coast, Australia. Australian Geographical Studies 29:114-138. Prosser, I. P. (1996). Using riparian zones to control sediment, nutrients and erosion in the Johnstone River, Far North Queensland. Paper presented at the Johnstone River riparian workshop. Johnstone River Catchment Coordinating Committee, Innisfail, Queensland. Prosser, I. P., Moran, C.J., Lu, H., Scott, A., Rustomji, P., Stevenson, J., Priestley, G., Roth, C. H. & Post, D. (2002). Regional patterns of erosion and sediment transport in the Burdekin River catchment. CSIRO Land and Water Technical Report 05/02, Canberra, Australia. Puckridge, T. J., Sheldon, F, Walker, K. F. & Boulton, A. J. (1998). Flow variability and the ecology of large rivers. Mar. & Freshwater Res. 49:55-72. Pusey, B. J. & Kennard, M. J. (2009). Aquatic ecosystems of northern Australia. In: Northern Australia Land and Water Science Review. Stone, P (Ed.). Report to the Northern Australia Land and Water Taskforce. CSIRO Publishing, Melbourne. Pusey, B. J., Kennard, M. J. & Arthington, A. H. (2004). Freshwater Fishes of North-Eastern Australia. CSIRO Publishing, Melbourne. Pusey, B. J., Kennard, M. J., Larson, H. K., Alsop, Q., Hammer, M. & Buckle, D. J. (2015). Estuarine fishes of the South Alligator River, Kakadu National Park, northern Australia. Mar. & Freshwater Res. http://dx.doi.org/10.1071/MF15221. Pusey, B., Warfe, D., Townsend, S., Douglas, M., Burrows, D., Kennard, M & Close, P. (2011). Condition, impacts and threats to aquatic biodiversity. In: B. J. Pusey (Ed.) Aquatic biodiversity in Northern Australia: patterns, threats and future. Charles Darwin University Press, Darwin, Australia. Queensland Department of Environment and Heritage Protection (2013/14). Mine water release pilot program. https://www.fitzroyriver.qld.gov.au/coal-mine-management/ 201314-mine-water-release. Quirk, M. (2000). Understanding grazing lands for better management: are we making any progress? Tropical Grasslands, 34:182-191. Raine, S. & Walker, W. (1999). SIRMOD: Improving surface irrigation efficiencies. Australian Sugarcane 2:10-11. Rangel, J. H. de A., & Gardiner, C. P. (2009). Stimulation of wool growth by Desmanthus spp. as a supplement to a diet of Mitchell grass hay. Tropical Grasslands, 43:106-111. Rayment, G. E. & Neil, D. T. (1997). Sources of material in river discharge. In: Turia, N & Dalliston, C. (Eds.). The Great Barrier Reef: Science, Use and Management. Vol.1.pp.42-58. James Cook University, 25-29. Nov. 1996, Townsville. Great Barrier Reef Marine Park Authority, Townsville. Rayment, G. E. (2003). Water quality in sugar catchments of Queensland. Water Science and Technology 48:35-47. Rayner, T. S., Pusey, B. J. & Pearson, R. G. (2008). Seasonal flooding, instream habitat structure and fish assemblages in the Mulgrave River, north-east Queensland: towards a new conceptual framework for understanding fish-habitat dynamics in small tropical rivers. Mar. & Freshwater Res.59:97-116. Roberts, B. (1992). Habitat Retention: A Queensland Case Study. In: Catchments of Green. Conference Proceedings, Greening Australia Ltd. Canberra. Roberts, D. T., Duivenvoorden, L. J. & Stuart, I. G. (2008). Factors influencing recruitment patterns of Golden Perch (Macquaria ambigua oriens) within a hydrologically variable and regulated Australian tropical river. Ecology of Freshwater Fish 17:577-589. Robertson, F. A. & Thornburn, P. L. (2000). Trash management – consequences for soil carbon and nitrogen. Proc. Aust. Soc. Sugar Cane Technologists 22:225-229. Robins, J. B., Halliday, I. A., Staunton-Smith, J., Mayer, D. G. & Sellin, M. J. (2005). Freshwater-flow requirements of estuarine fisheries in tropical Australia: a review of the state of knowledge and application of a suggested approach. Mar. & Freshwater Res. 56:343-360. Robinson, D. W. & Sageman, R. (1967). The nutritive value of some pasture species in north-western Australia during the late dry season. Aust. J. Exptl. Agriculture and Animal Husbandry 7:533-539. Robson, B. J., Gehrke, P. C., Burford, M. A., Webster, I. T., Revill, A. T. & Palmer, D. W. (2013). The Ord river estuary: A regulated wet-dry tropical river system. In: Wolanski, E. (ed). Estuaries of Australia in 2050 and Beyond, Estuaries of the World, CSIRO, Australia. Rodgerson, M., Yates, D. & Côte, C. (2013). Leading practice water management at Moranbah North underground mine. In: Water in Mining. Australian Institute of Mining and Metallurgy. Publications Series No. 12/2013. Rodrigues, R. C., Fox, J. E. D. & Schatral, A. (2010). Research note: Responses of the perennial Australian native grass Eriachne benthamii to flooding. Tropical Grasslands 44:295-300. Roebeling, P., van Grieken, M. E. et al. (2009). Cost-effective water quality improvement in linked terrestrial and marine ecosystems: a special environmental-economic modelling approach. Mar. & Freshwater Res.60:1150-1158. Rolfe, J. (2008). Water trading and market design. In: Crase, L. (Ed.) Water Policy in Australia. pp. 202-215. Resources for the Future, RFF Press, Washington, USA. Room, P. M., Forno, I. W. & Taylor, M. F. J. (1984). Establishment in Australia of two insects for biological control of the floating weed Salvinia molesta. Bull. Ent. Res. 74:505-516. Room, P. M., Harley, K. L. S., Forno, I. W. & Sands, D. P. A. (1981). Successful biological control of the floating weed salvinia. Nature 294:78-80. Roshier, D. A., Robertson, A. I. & Kingsford, R. T. (2002). Responses of waterbirds to flooding in an arid region of Australia and implications for conservation. Biological Conservation 106:399-411. Rossini, R. A., Fensham, R. J. & Walter, G. H. (2015). Determining optimal sampling strategies for monitoring threatened endemic macro invertebrates in Australia’s artesian springs. Mar. & Freshwater Res. http://dx.doi.org/10/1071/MF 15023. Rummenie, S. & Noble, B. (1996). Drainage and tailwater recycling reduces nutrient and sediment movement. The Australian Canegrower 17:30-37. Ruprecht, J. (1996). Arid zone hydrology: Pilbara region of Western Australia. In: Hydrology and Water Resources Symposium, Hobart, Tasmania. Ruschena, L. J., Stacey, G. S., Hunter, G. D. & Whitman, P. C. (1974). Research into revegetation of concentrator tailings dams at Mount Isa. Paper presentation AIMM Regional Meeting, August 1974. Russell, D. J. & Garrett, R. N. (1985). Early life history of barramundi, Lates calcarifer (Bloch), in north-eastern Queensland. Aust J. Mar. Freshwater Res. 36:191-201. Russell, D. J. & Helmke, S. A. (2002). Impacts of acid leachate on water quality and fisheries resources of a coastal creek in northern Australia. Mar. Freshwater Res. 53:19-33. Russell, D. J. & McDougall, A. J. (2005). Movement and juvenile recruitment of mangrove jack, Lutjanus argentimaculatus (Forsskål), in northern Australia. Mar. & Freshwater Res. 56:465-475. Russell, D. J. & Rimmer, M. A. (1997). Assessment of stock enhancement of barramundi Lates calcarifer (Bloch) in a coastal river system in far northern Queensland, Australia. In: Developing and Sustaining World Fisheries Resources (Eds. Hancock, D. A., Smith, D. C., Grant, A. & Beumer, J. P.) pp. 498-503. CSIRO Publishing, Melbourne. Russell, D. J., Hales, P. W. & Helmke, S. A. (1996). Stream habitat and fish resources in the Russell and Mulgrave Rivers catchment. Queensland Department of Primary Industries, Northern Fisheries Centre, Cairns. Russell, D. J., Thomson, F. E., Thuesen, P. A., Power, T. N. & Mayer, R. J. (2015). Variability in the growth, feeding and condition of barramundi (Lates calcarifer Bloch) in a northern Australian coastal river and impoundment. Mar.& Freshwater Res.66:928-941. Russell, D. J., Thuesen, P. A. & Small, F. E. (2010). Tilapia in Australia. Report to: Invasive Animals Cooperative Research Centre, University of Canberra, Canberra, ACT, Australia. Russell, D. J., Thuesen, P. A., Thomson, F. E. & Power, T. N. (2013). Is stocking barramundi (Lates calcarifer) in north-eastern Queensland a threat to aquatic biodiversity? Marine & Freshwater Res. 64:992-1002. Russell, J. H. & Isbell, R. F. (eds.) (1986). Australian Soils: the Human Impact. Univ. Qld. Press, Queensland. Sainsbury, K. J. (1979). CSIRO defining fish stocks on NW Shelf. Aust. Fish 38:4-12. Saker, M. L. & Eaglesham, G. K. (1999). The accumulation of cylindrospermopsin from the cyanobacterium Cylindrospermopsis raciborskii in tissues of the redclaw crayfish Cherax quadricarinatus. Toxicon 37:1065-1077. Saker, M. L. & Griffiths, D. J. (2000). The effect of temperature on growth and cylindrospermopsin content of seven isolates of Cylindrospermopsis raciborskii (Nostocales, Cyanophyceae) from water bodies in northern Australia. Phycologia 39:186-191. Saker, M. L. (2000). Cyanobacterial blooms in tropical north Queensland water bodies. Ph.D. thesis, James Cook University, Townsville, Australia. Saker, M. L., Thomas, A. D. & Norton, J. H. (1999). Cattle mortality attributed to the toxic cyanobacterium Cylindrospermopsis raciborskii in an outback region of north Queensland. Environ. Toxicol. 14:179-182. Sanderson, N. T., Koontz, D. V. & Morley, A. W. (1983). The ecology of the vegetation of the Magela Creek floodplain: upper section from Oenpelli toad crossing to Nankeen Billabong. In: Environmental protection in the Alligator Rivers Region – A scientific workshop. Vol. I, Jabiru 17-20 May 1983. Supervising Scientist for the Alligator Rivers Region. Sattler, P. & Williams, R. (eds.) (1999). The conservation status of Queensland’s Bioregional Ecosystems. Environmental Protection Agency, Queensland Government, Brisbane. Sawynok, B. (1998). Fitzroy River – Effect of freshwater flows on fish. Impact on barramundi recruitment, movement and growth. National Fishcare Project Report 97/003753. Saynor, M. & Erskine, W. (2015a). Use of slackwater deposits and other forms of geological evidence to determine the number, magnitude and frequency of palaeo-floods in the Alligator Rivers Region. In: eriss research summary 2013-2014. Supervising Scientist Report 209, Supervising Scientist, Darwin, NT. Saynor, M. & Erskine, W. (2015b). Sediment movement off the rehabilitated Jabiluka mine site. In: eriss 2013-2014 Supervising Scientist Report, pp. 248-257. Supervising Scientist, Darwin, NT. Saynor, M., Erskine, W., Boyden, J, Houghton, R. & Turner, K. (2015). Sediment losses from the trial landform. In: eriss research summary 2013-2014. Supervising Scientist Report 209, Supervising Scientist, Darwin, NT. Schaffer, J. R., Hamann, M., Rowe, R. & Burrows, D. W. (2015). Muddy waters: the influence of suspended sediment concentration on the diving behaviour of a bimodally respiring freshwater turtle from north-eastern Australia. Mar. & Freshwater Res. http://dx. doi.org/10.107/MF 14117. Scott, K. & Cowley, R. (2010). The use of alternate water points to increase pasture utilization. Technical Bulletin No. 335. Primary Industries Annual Report 2009-10. Department of Resources, Northern Territory Government, Darwin. Scott, K., James, H. & Kearins, S. (2010). Water instead of Wire. Managing grazing by alternating water points on the Barkly Tableland, Northern Territory. Department of Resources, Northern Territory Government, Tennant Creek. Scudder, T. (2005). The Future of Large Dams: Dealing with Social, Environmental, Institutional and Political Costs. Earthscan, London, UK. Sharp, N. (1998). Handing on the right to fish: the law of the land and cross-cultural co-operation in a gulf community in Australia. Pacific Conservation Biology 4:95-104. Shaw, K. A., Rolfe, J. W., English, B. H. & Kernot, J. C. (2007). A contemporary assessment of land condition in the Northern Gulf region of Queensland. Tropical Grasslands 41:245-252. Shaw, R. (1989). Predicted deep drainage loss under dryland and irrigated management for Burdekin soils. In: Rayment, G. E. & Eldershaw, V. J. (eds.) Soils of the Burdekin River Irrigation Area. Workshop proceedings Ayr, August, 1998. Sheaves, M., Abrantes, K.G. & Johnston, R. (2014). Deluge Inlet, a Pristine Small Tropical Estuary in North-Eastern Australia. In: Wolanski, E. (Ed.) Estuaries of Australia in 2050 and Beyond. Springer Science + Business Media Dordrecht. Slessor, G. C. & Foster, M. B. (1987). Rehabilitation after bauxite mining. In: Farrell, T. (Ed.). Mining Rehabilitation ’87. Cape York Peninsula pp. 3-16. Australian Mining Industry Council, Canberra, ACT. Smith, A. J. (2008). Rainfall and irrigation controls on groundwater rise and salinity risk in the Ord River Irrigation Area, northern Australia. Hydrogeol. J. 16:1159-1175. Smith, A. J., Pollock, D. W. & Palmer, D. (2010). Groundwater interaction with surface drains in the Ord River Irrigation Area, northern Australia: investigation by multiple methods. Hydrogeol. J. 18:1235-1252. Smith, S. & Hill, J. (2009-10). Environmental impacts of plant industries on the soil in the Northern Territory. Annual Research Report 2009-10. Department of Resources, Northern Territory Government, Darwin. SRDC (2014). Annual Report, 2013-14. Sugar Research Development Corporation, BSS 334, Brisbane. Staunton-Smith, J., Robins, J. B., Mayer, D. G., Sellin, M. J. & Halliday, I. A. (2004). Does the quantity and timing of fresh water flow into a dry tropical estuary affect year-class strength of barramundi (Lates calcarifer)? Mar. & Freshwater Res. 55:787-797. Stitz, L., Fabbro, L. D. & Kinnear, S. (2013). Macroinvertebrate tolerance across a range of conductivities in the Isaac River catchment (central Queensland). In: Water in Mining 2013. The Australasian Institute of Mining and Metallurgy. Publication Series No. 12/2013. Story, R. (1969). Vegetation of the Adelaide-Alligator area. In: Lands of the Adelaide-Alligator area, Northern Territory. Land research series No. 25. Commonwealth Scientific and Industrial Research Organisation, Australia, 114-130. Supervising Scientist (2014). Investigation into the environmental impacts of the leach tank failure at Ranger uranium mine, December 2013. Department of the Environment, Australian Government. Taylor, G., Spain, A., Nefiodoras, A., Timms, G., Kuznetsov, V. & Bennett, J. (2003). Determination of the reasons for deterioration of the Rum Jungle waste rock cover. Report for the Australian Centre for Mining Environmental Research, Kenmore, Qld., Australia. Taylor, M. P. (2007). Assessment of sediment metal concentrations downstream of the Rum Jungle Mine on the east branch of the Finniss River, Northern Australia. J. Geochemical Exploration 92:55-72. Taylor, P. M. & Little, J. A. (2013). Environmental impact of a major copper mine spill on a river floodplain system. Anthropocene 3:36-50. Thorburn, P. J., Biggs, J. S., Attard, S. J. & Kemei, J. (2011). Environmental impacts of irrigated sugarcane production: nitrogen lost though run-off and leaching Agric. Ecosyst. Environ. 144:1-1. Tothill, J. C. & Gillies, C. (1992). Pasture lands of northern Australia: their condition, productivity and sustainability. Tropical Grassland Society of Australia, Occasional Publication No. 5 Tropical Grassland Society of Australia Inc., Brisbane. Toussaint, S. (2010). Fitzroy Valley Indigenous groups and the multi-criteria value of fishing and fish. Unpublished report for the Tropical Rivers and Coastal Knowledge Project. CSIRO, Darwin. Townsend, I. (2013). Mount Morgan rehabilitation project. Dept or Natural Resources and Mines, Queensland, Australia. Townsend, S. A. & Padovan, A. V. (2005). The seasonal accrual and loss of benthic algae (Spirogyra) in the Daly River, an oligotrophic river in tropical Australia. Mar. & Freshwater Res. 56:317-327. Townsend, S. A. (1996). Metalimnetic and hypolimnetic deoxygenation in an Australian tropical reservoir of low trophic status. In: Schiemer, F & Boland, K. T. (Eds.). Perspectives in Tropical Limnology, pp. 151-160. SPB Academic Publishing, Amsterdam, The Netherlands. Townsend, S. A., Boland, K. T. & Wrigley, T. J. (1992). Factors contributing to a fish kill in the Australian wet/dry tropics. Water Research 26:1039-1044. Tropical Water Solutions. (1997). An assessment of the Mount Isa Mines Ltd. Water quality management program. Commissioned Report for Mount Isa Mines Ltd.
Trott, L. A. & Allongi, D. M. (1999). Variability in surface water chemistry and phytoplankton biomass in two tropical, tidally dominated mangrove creeks. Mar. Freshwater Res. 50:451-457. Turnbull, A. G. (1986). Soil and vegetation characteristics of seven transects in the Mount Isa region. Tailings dam effect upon stream sediments and vegetational composition; vegetation interpretation via infra-red imagery. MIM, R&D Technical Report, July/August 1986. Udy, J. W., Dennison, W. C., Lee Long, W. & McKenzie, L. J. (1999). Responses of sea grass to nutrients in the Great Barrier Reef. Mar. Ecol. Prog. Ser. 185:257-271. Unger, C. J., Laurencont, T. G. & Keliher, L. M. (2003). Rehabilitation planning for a large historic abandoned mine, Mount Morgan Mine, Central Queensland. In: Bell, L. C. (Ed.). Proceedings of Workshop on Management and Remediation of Abandoned Mines. pp. 67-75. Australian Centre for Mining Environmental Research, Kenmore, Queensland. Van Cuylenberg, H. R. M. (1985). Land management and erosion survey, N. T. croplands (1984-89). In: Fergus, I. F. (Ed.). Proceedings of the Fourth Soil Conservation Conference. Standing Committee on Soil Conservation, Canberra. pp. 206-207. Van Dam, R. A. (2009). Australia’s northern tropical rivers: Assets and threats. Wetlands Australia 17:8-9. Van Dam, R. A., Webb, A & Parker, S. M. (2013). Eriss Research Summary 2011-2012. Supervising Scientist Report 204, Supervising Scientist, Darwin, NT. Vernes, T. (2005). Planning for the protection of Roebuck Bay. Wetlands Australia Issue No. 13:10. Vertessy, R. A. (2013). Water information services for Australians. Aust. J. Water Resources 16:91-104. Vicente-Beckett, V. A., McCauley, G. J. T. & Duivenvoorden, L. J. (2015a). Metal speciation in sediments and soils associated with acid mine drainage in Mount Morgan (Queensland, Australia). J. Env. Sci and Health. Part A. DOI: 10.1080/10934529.2015.1087738. Vicente-Beckett, V. A., Taylor, G. J. & Duivenvoorden, L. J. (2015b). Metals in agricultural produce associated with acid mine drainage at Mount Morgan (Queensland, Australia). ibid. Part B.
Walker, K. F., Puckridge, J. T. & Blanch, S. J. (1997). Irrigation development on Cooper Creek, central Australia – prospects for a regulated economy in a boom-bust ecology. Aquatic Conservation: Marine and Freshwater Ecosystems 7:63-73. Walker, K. J. (1992). The neglect of ecology: The case of the Ord River scheme. In: Walker, K. J. (Ed.). Australian Environmental Policy. Ten Case Studies. pp.183-202. New South Wales University Press Ltd., Kensington, NSW, Australia. Wallace, H. D. (1978). Water quality in the storage and potential effects of development within the catchment. In: Ross River Dam Catchment Area, Land Use Study. Department of Local Government, Brisbane. Wallace, J. & McJannet, D. (2012). Climate change impacts on the water balance of coastal and montane rainforests in northern Queensland, Australia. J. Hydrology 475:84-96. Wallace, J. & McJannet, D. (2013). How might Australian cloud interception respond to climate change. (2013). J. Hydrology 481:85-95. Warfe, D. M., Petit, N. E. Davies, P. M. and others. (2011). The ‘wet-dry’ in the wet-dry tropics river ecosystem structure and processes in northern Australia. Freshwater Biology 56 (Special Review), 2169-2195. Water and Wastewater Treatment (2013a). Water UK warning on fracking. Water & Wastewater Treatment, September 2013.56:9. Water and Wastewater Treatment (2013b). Centralised sites deliver fracking water efficiency. Water & Wastewater Treatment, November 2013. 56:18-20. Webster, A. (2009). Queensland’s Burdekin landholders confer on weed control. Wetlands Australia 17. Webster, I. T., Rea, N., Padovan, A. V., Dostine, P., Townsend, S. A. & Cook, S. (2005). An analysis of primary production in the Daly River, a relatively unimpacted tropical river in northern Australia. Mar. & Freshwater Res. 56:303-316. Wegner, J. (1984). Hinchinbrook Shire during world war two. In: Dalton, B. J. (Ed) Lectures on north Queensland history Vol 4 James Cook University of North Queensland pp.213-229. White, Ian. (2007). Inter basin water transfer: case studies from Australia, United States, Canada, China and India. Cambridge University Press, Cambridge, England. White, K., Lucas, R., Hardie, R., Merritt, J. & Kirsch, B. (2013). Challenges and opportunities for constructed stream diversions in the Bowen Basin, Central Queensland. In: Water in Mining. The Australasian Institute of Mining and Metallurgy. Publication Series No. 12/2013. Williams, A. R. (1979). Vegetation and stream pattern as indicators of water movement on the Magela floodplain, Northern Territory. Aust. J. Ecol. 4:239-247. Winks, L. (1973). Townsville stylo research at Swan’s Lagoon. Tropical Grasslands 7:201-208. Woinarski, J. C. Z., Whitehead, P. J., Bowman, D. M. J. S. & Russell-Smith, J. (1992). Conservation of mobile species in a variable environment: the problem of reserve design in the Northern Territory, Australia. Global Ecology and Biogeography Letters 2:1-10. Woinarski, J., Mackey, B., Nix, H. & Traill, B. (2007). The Nature of Northern Australia: Natural Values, Ecological Processes and Future Prospects. ANU E-Press. Wolanski, E., Moore, K., Spagnol, S., D’Adamo, N. & Pattiaratchi, C. (2001). Rapid, human-induced saltation of the macro-tidal Ord River Estuary, Western Australia. Estuar. Coast Shelf Sci. 53:717-732. Wolanski, E., Spagnol, S. & Williams, D. (2004). The impact of damming the Ord River on the fine sediment budget in Cambridge Gulf, Northwestern Australia. J. Coastal. Res. 20:801-807. Wolverton, B. C. & McDonald, R. C. (1975). Water hyacinth for upgrading sewage lagoons to meet advanced wastewater treatment standards. Pt. 1. N.A.S.A. Technical Memorandum X-72729. World Nuclear Association Publication (September, 2009). Environmental Aspects of Uranium Mining. Worley Parsons. (2012). Groundwater Impact Report. Pilbara Iron Ore Project, Flinders Mines Limited. Wrigley, T. J. (2015). Remediation strategies for the Clear Water Lagoon, Mount Isa. Commissioned Report; Australasia Pacific Environmental Consultants. Wrigley, T. J., Farrell, P. D. & Griffiths, D. J. (1991). Ecologically sustainable water clarification at the clear water lagoon, Mt. Isa. Water, Dec. 1991:32-34. Yeldham, J. A. (2003). The role of the Wowan Dululu Landcare Group in the management of the Mount Morgan Mine site. In: Bell, L. C. (Ed.) Proceedings of the Workshop on Management and Remediation of Abandoned Mines. pp.43-46. Australian Centre for Mining Environmental Research, Kenmore, Queensland, Australia. Yesdani, G. H. (1978). A biolimnological Survey of Ross River Dam, Townsville. In: Ross River Dam Catchment Area, Land Use Study. Dept. of Local Government, Brisbane. Young, M. D. (2014). Designing water extraction regimes for an ever-changing future. Agricultural Water Management 145:32-38. Yu, S. (2000). Ngapa Kunangkul: Living Water, Report on the Aboriginal Cultural Values of Groundwater in the La Grange Sub-Basin. Second Edition, Nedlands, Western Australia, Centre for Anthropological Research, University of Western Australia. Zander, K. K., Garnett, S. T. & Straton, A. (2010). Trade-off between development, culture and conservation – willingness to pay for tropical river management among urban Australians. J. Env. Management 91:2519-2528.